The expected in-stock date is Sunday, May 05. Product contains milk, wheat, peanuts,almonds, and soy. Produced in a facility that also processes egg, and other tree nuts (pecans, coconut, cashews, walnuts). Birthday wishes are even more special with delicious flavors they'll love! 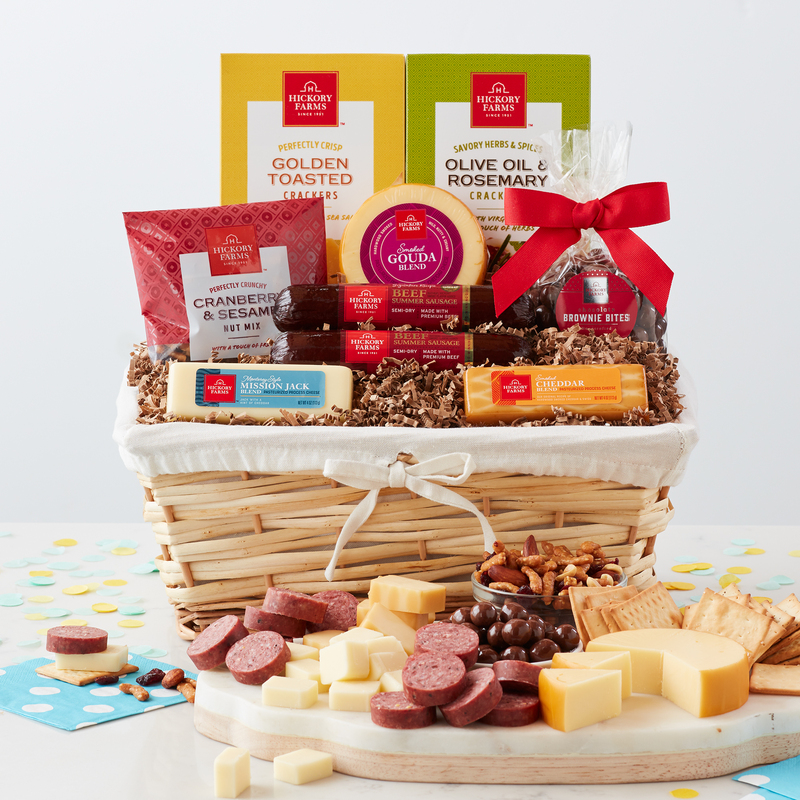 This gift basket is packed with some of our favorite treats. 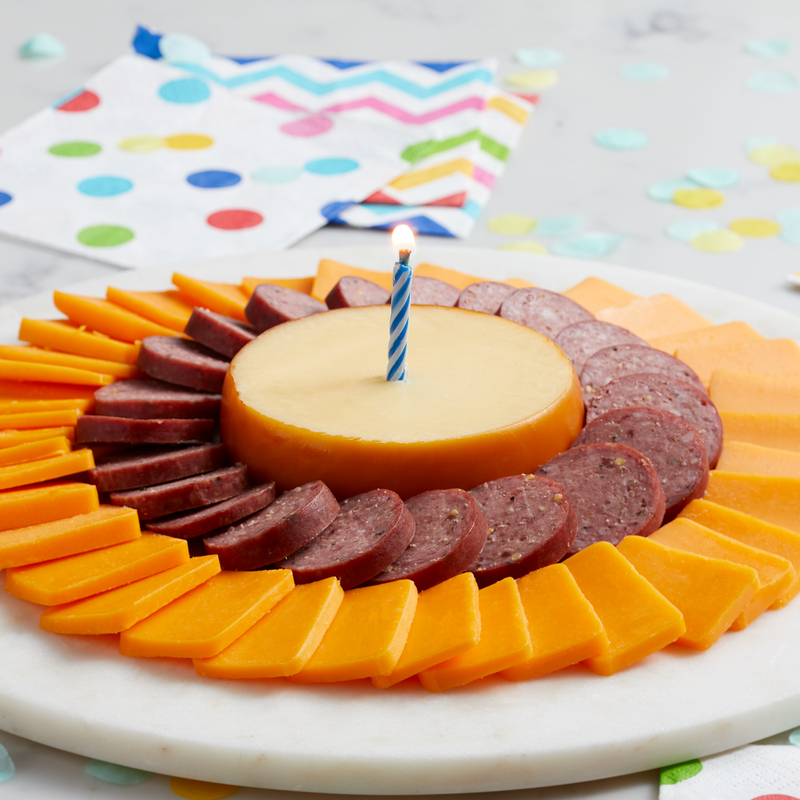 From our Signature Beef Summer Sausage and Smoked Cheddar Blend to the delicious chocolaty Brownie Bites, this is a gift they’ll love to unpack.